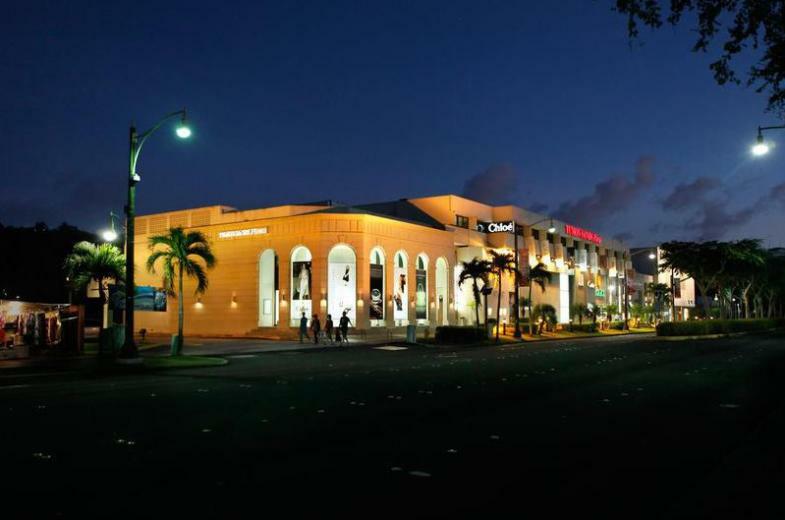 Tumon Sands Plaza is located in the heart of beautiful Tumon Bay. Our shopping center features more than 20 world famous luxury brands arranged in a boutique atmosphere. We are home to Anteprima's only location on the island. 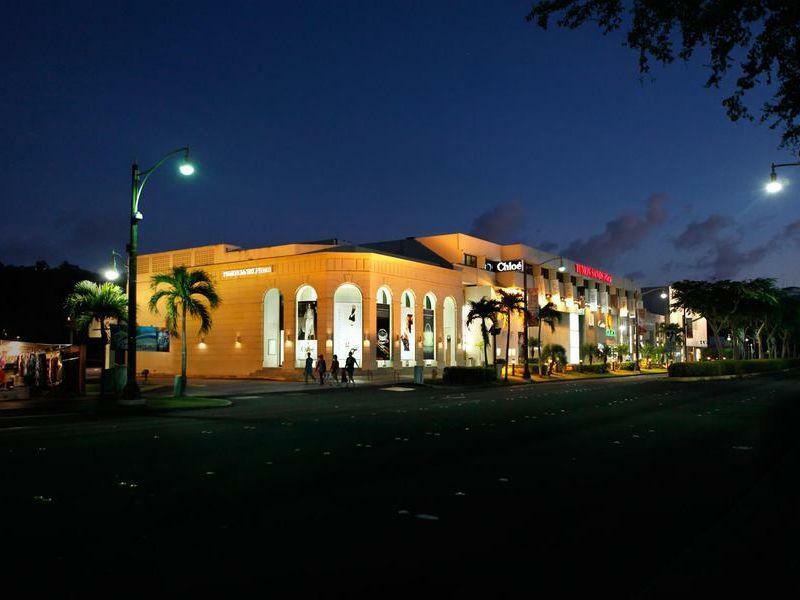 At Tumon Sands Plaza you will find the Louis Vuitton global store, flagship sores for Tiffany & Co., Gucci, Chloe, Marc by Marc Jacobs, Bree, Furla, Dunhill, Cartier, Bulgari, Bottega Veneta and Lacoste. We are excited to announce the openings of Paul Smith, Balenciaga, Globetrotter and Marimekko boutiques this fall. Tax Free Shopping: Shop without tax naturally, as Guam is a free port. Free Shuttle Service: Once you arrive on island you will find that transportation to our shopping center is very easy. Dedicated shuttle busses come to the major hotels in Tumon every 10-15 minutes. For information, dial 646-6801 to reach our Customer Service center or kindly ask your hotel concierge. Pick Up by BMW: If you prefer to arrive by private car, we offer BMW car service for just $8 per way. Please call us at 646-6801 to arrange. Restaurante & Café: Spend a relaxing day of shopping and dining at Tumon Sands Plaza. Start with premium coffee from Honolulu Coffee Company. They serve gourmet coffee, pastries and snacks from 9:30am - 10:00pm and provides the perfect fuel for your shopping day. Break for lunch or dinner? There's no reason to leave your shopping when one of the island's best restaurants is nestled right here in Tumon Sands Plaza. The Joinus Keyaki Restaurant is an island favorite for its authentic Japanese dishes and Teppenyaki offerings. It's popularity is confirmed by the healthy crowds at lunch and dinner. Tumon Sands Plaza's Customer Service staff will be happy to help you with a reservation.